MIAMI — Authorities say three Florida men planned to travel to Syria and become fighters for the Islamic State. 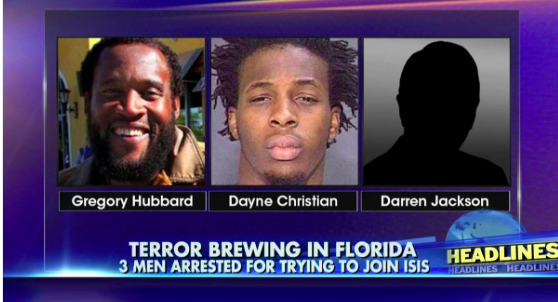 Federal prosecutors said in a news release Friday that 52-year-old Gregory Hubbard, 31-year-old Dayne Christian and 50-year-old Darren Jackson of Palm Beach County are charged with conspiring to join the Islamic State. They were arrested Thursday. A woman who answered the phone at the Federal Public Defender’s office Friday said she had no record of the defendants.